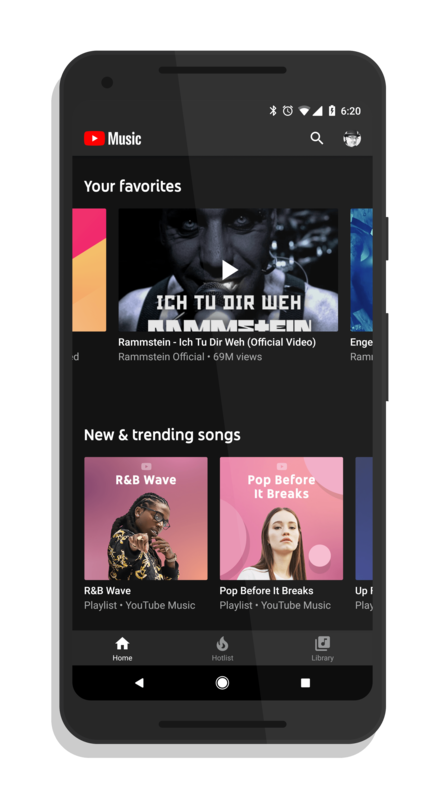 After being announced last month, literally in the middle of the night, Google has now pulled back the covers on the rebooted YouTube Music subscription service as well as the YouTube Red rebranded YouTube Premium. The two services combined are $11.99 per month and bring you a wealth of music and video content on your Android phone, tablets, PCs, and Chromebooks. The updated services bring ad-free music and videos to your devices with both original content and official music channels for artists that you can subscribe to and follow. The new service also leverages AI to provide suggested music lists for you based on your listening habits. You’ll also get a listing of hottest videos in each country based on other users in your country. Speaking of countries, the new service launches into 17 with more expected as we work through 2018. Today you can subscribe in the U.S, Australia, New Zealand, Mexico, South Korea, Austria, Canada, Finland, France, Germany, Ireland, Italy, Norway, Russia, Spain, Sweden, and the United Kingdom. There are two levels of subscriptions available. If you only want YouTube Music, that is $9.99 per month. That gets you ad-free music and you can download content for later listening. YouTube Premium gives you Music but also gives you ad-free YouTube watching, downloads for offline viewing, and access to original content on the site. To get more details, just open up YouTube or YouTube Music on your phone and you can subscribe from within the app.